1. 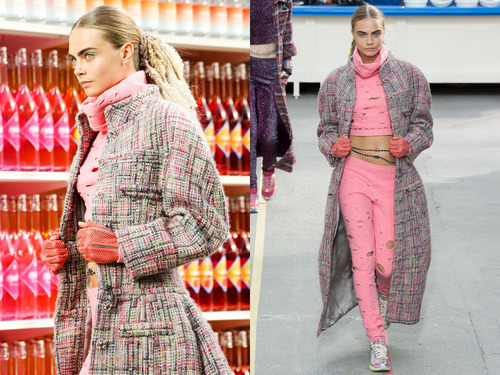 Karl Lagerfeld’s FW14 collection for Chanel may be his finest reinvention yet. The influence of street culture invaded house staples—the tweed suit, the pearls—in the best way. Lagerfeld had a supermarket built for the runway as a reversal of last season’s art gallery and to drive home the point that “fashion is supermarket fodder”. It’s the ultimate mishmash of the decadent and the banal.